A friend of mine recently got engaged, and he and his partner are in the process of picking the venue. They live in Florida but have family all over, so they are considering myriad locations. Hearing about their journey brought me back to the stress of trying to select a location for our wedding. I won't delve too deeply into the stress here (it's explained in eight full pages of details from pg. 56-64 in The Book if you want the gory details); I'll just stick to the highlights. 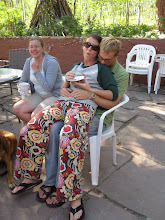 When we were planning our wedding, Matt and I were living in Denver. My family was in Florida; Matt's was in Indiana. Our friends were scattered all over the country. At the time, it felt like we could have had the wedding anywhere. In retrospect, I'm so glad we picked a location that was within an easy driving distance of our house (1.5 hours into the mountains). For us, planning a wedding from afar would have made it much more difficult to DIY, and it would have been more difficult to cultivate relationships with the owners of the venue. One challenge you may encounter is that the location is usually one of the first decisions to be made, early in the process, before you've had a chance to think through your entire wedding. This is one reason creating your wedding vision before you start planning can be helpful." How did you decide on your wedding venue? Or are you in the middle of trying to figure it out? Please share your story in the comments section! We were lucky enough to have a family option. My grandparents, who live in the same town we did at the time in South Carolina, have a huge, beautiful garden they let us use. So not only was it free, but it was personal, beautiful, and really special for all of us. Plus, like you said, it was super convenient since it was so close by (for us, about 15 minutes away!). It was perfect! That sounds lovely, Julia! Thanks for sharing. We live near Boston, my family is from Nebraska, and my husband's family is in Washington State. So theoretically, we could have had our wedding anywhere too, and I looked in all three locations, including a "destination" location in Maine which seemed like it was similar to the lodge that Sara and Matt picked and a relatively cheap ($400 for the evening vs what I found to be was a standard $2k for the reception that usually didn't include any rentals) reception venue near Boston at a VFW hall. In the end we picked a state park in Nebraska (~45 min from the nearest airport and from my parents' house) where we could have both the ceremony and the reception and it also offered accommodation for the guests. 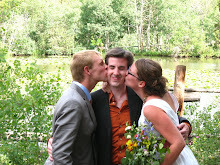 We did a lot of DIY - some of the food, all the decorations, and our own ceremony. 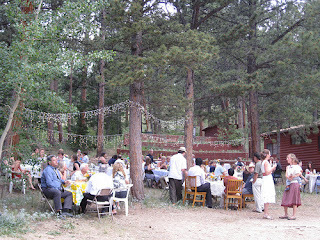 We had complete freedom in terms of catering, photography, and music (iPod). I was really lucky, because my mom and two sisters who live close by to the venue did a ton to help out since I was planning from afar. I was very happy how everything turned out, and we did it for under $5k for about 80 people. 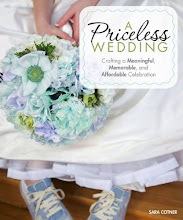 When planning our wedding I spent hours looking online for wedding venues that were affordable. I wanted something my husband and I could afford. Most venues were just too pricey. I came across this hall that was right near the church where we were getting married at. We never needed a getaway car because we were able to walk from the church to the hall. It was nice to have a few honks from the cars as we walked along the street. It was a really cute old 1880's hall that held, weddings, senior citizen dances, art classes, etc. The hall provided us with, tables, chairs, silverware, plates, etc. The hall was under $1,000 to rent. We got our own cater and DJ. We used borrowed wedding decorations which looked super beautiful. I used decorations and other items that I had at home as well. I did rent nice white chairs because I was able to fit it into our budget. I just wasn't crazy about the folding chairs they provided. The hall we rented was worth every penny. Everyone at our wedding loved the hall and how cute it was. 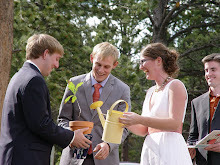 In all our wedding was way under $10,000 with all the DIY projects that I did. It was a beautiful day and I still am so happy that I planned a wonderful stress free wedding on small budget. Finding the right wedding venue is key. Location is key as well. For us, we saved a ton of money because we didn't need to rent a car or limo to take us from the church to the reception hall. What sold us on the wedding venue was how charming it was, the price, location and the history behind the hall. It also fit my husband and I's personality. I look back at our wedding reception and I can't help but think that we made the best decision on where we had our wedding reception.